The wind was up and the waves were good for all of the surfers at Coast Guard Beach, part of the Cape Cod National Seashore, on Cape Cod. The forecast was for a high surf advisory. So, the waters were packed with surfers and they were ready to catch that perfect wave! 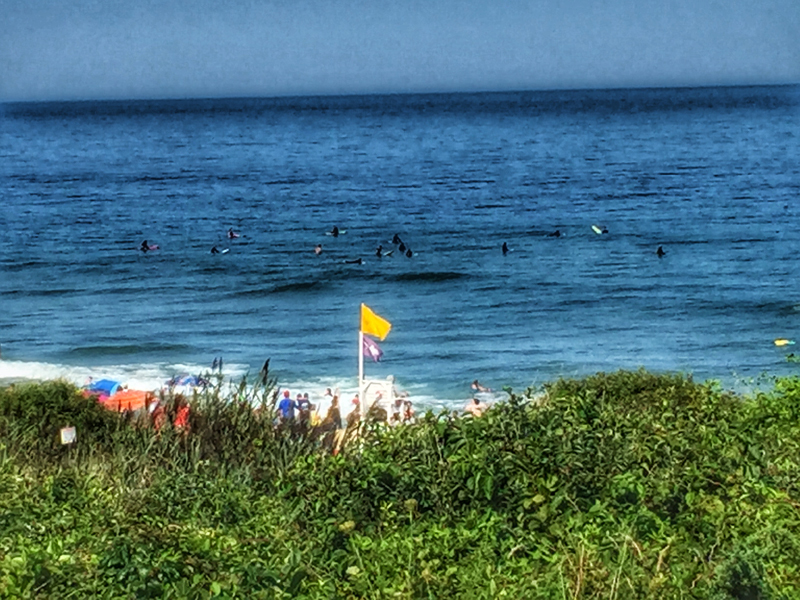 Lots of Paddleboard Surfers At Coast Guard Beach In Eastham on Cape Cod Last Weekend! It was a gorgeous, warm day last weekend at Coast Guard Beach in Eastham on Cape Cod… a perfect day for a picnic and a walk on the beach. We were so surprised to see so many paddleboard surfers out in the water. It almost looked like a summer day! What a cool sight to see in the middle of winter! Was I surprised to see a black dot in the water on Nauset Beach in Orleans on Cape Cod when I was taking a walk the other day on a very cold and blustery day. I thought it was a seal, but it didn’t dive underwater. 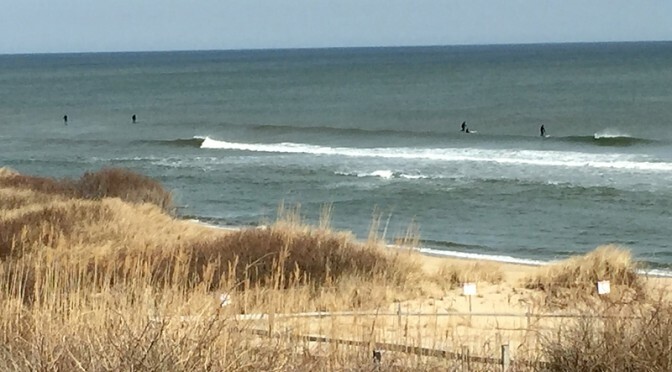 It wasn’t until I took a photograph and zoomed in that I realized it was a surfer. Wow! He certainly was a brave soul to venture out into the waves on such a day! I shivered just thinking abut it!